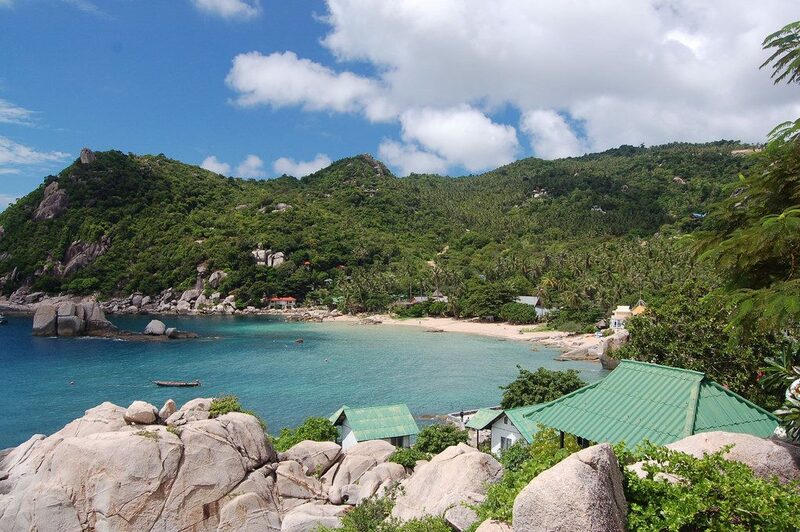 Koh Tao, meaning Turtle Island, is an unforgettable destination. Found in the Gulf of Thailand, this island has some of the best diving facilities in the world. This, in combination with its unforgettable snorkeling, stunning views, and overall laidback vibe makes it one of the country’s most coveted islands. 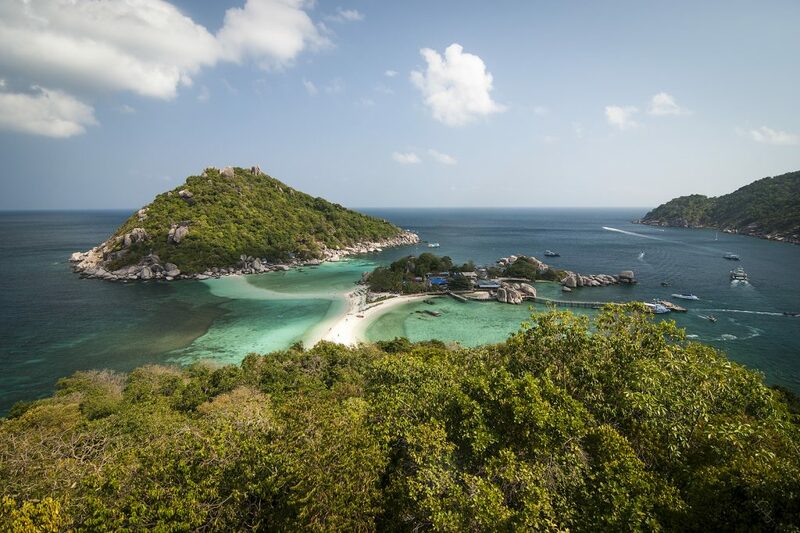 Here, the best things to see and do in Koh Tao. Koh Tao is seemingly more stunning under the water than it is above. No matter where visitors find themselves on this turtle shaped island, they will to run into dive shop after dive shop lining the winding roads. Koh Tao has an international reputation for its amazing dive sites and renowned instructors and shops, and the island offers underwater explorers the most affordable way to do so, as well. There are course options available for all types of divers, including those wanting to get their open water, advanced open water, rescue diver course, or simply want to go on a fun dive. Prices vary from shop to shop, but visitors can expect to pay some of the most affordable prices in the entire world for their underwater adventures. Dubbed as one of the most beautiful islands in the world, visitors must be sure to make a pit stop to Koh Nang Yuan before departing Koh Tao. Koh Nang Yuan is not one but a total of three islands, all of which are connected by a crisscrossing, white sand bar. One of the most stunning features found at Koh Nang Yuan are the Japanese Gardens, visitors can opt to dive here. There is also a towering viewpoint, allowing you to see the island from incredible heights. Although the island is quite small, the best way to explore all that Koh Tao has to offer is on a set of wheels. For those who have never driven a scooter, it may be better to opt for a quad bike to explore. The roads in Koh Tao are somewhat neglected and weave as they please, so this is not ideal terrain for learners. Visitors can rent a scooter for about ฿150 a day. Be wary of who you rent a bike from, however, as many shops are known to scam new drivers into paying loads of baht for a scratch or two on a rental. There are reputable shops, however, including Oli’s Motorbike Rentals. Be sure to pay up the extra few dollars or so for insurance. Tanote Bay will have visitors in awe as they step off the sloping road and onto its curved beach. The bay is peppered with boulders protruding its glassy surface, without a single wave lapping the shore. Visitors can lay out a towel and catch some rays, but the best thing to do at this particular bay is snorkel. Prepare to see everything from White Eyed Moray Eels to Grey Reef Sharks in the crystal clear water found at Tanote Bay. Vibrant soft and hard coral decorate the sandy bottom, with colorful fish found swimming throughout. Snorkeling gear can be rented for as little as ฿50 at the bar just adjacent the beach. Found on the west coast of the island is the notable Sairee Beach. This beach stretches to some 1.85 kilometers in length, and it is the largest stretch of sand on the island. The beach is the place to be after dark, as many of the island’s top bars and restaurants are found here. That being said, it is also a noteworthy spot for lounging and enjoying a day in the sun and sea. The pancakes in Koh Tao combine everything there is to love about dessert and puts them together into one tasty treat. These pancakes can be found in cities across Southeast Asia, but no place seems to have more of an abundance of pancake carts than the island of Koh Tao. Visitors will not be able to meander far without coming face to face with one of these silver carts, equipped with a flat grill for their resident chefs to cook up this delicious snack. Nutella, peanut butter, bananas, chocolate syrup: these pancakes can be topped with any number of ingredients, so feel free to pick and choose to your heart’s (or stomach’s) desire. What this snack lacks in nutrition it makes up for in flavor. Pancakes start at about ฿40. 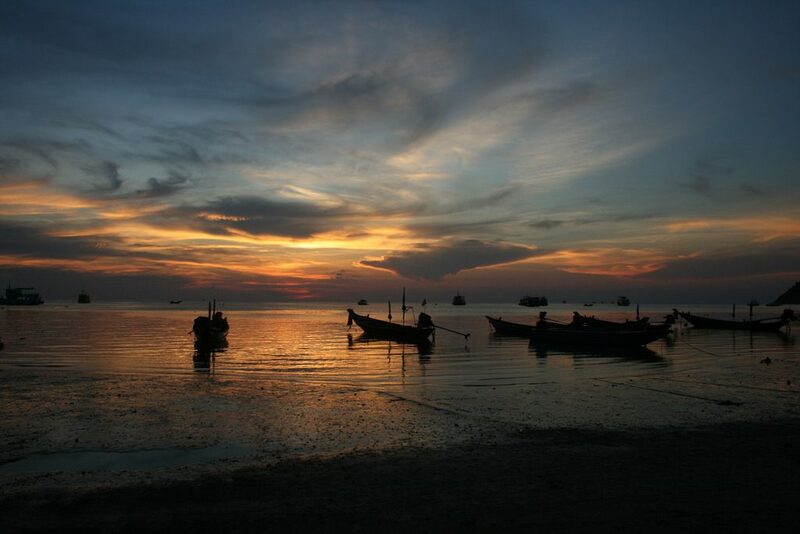 The island has one too many viewpoints to choose from when deciding where to watch the sun go down over the Gulf of Thailand. The John Suwan viewpoint is arguably the most stunning one on the entire island. It was named this because it was apparently discovered by two men whose names were Mr. John and Mr. Suwan, and visitors will be most grateful to the pair when they see the views from this towering, natural site. Another great viewpoint is the one that overlooks Sairee Beach. 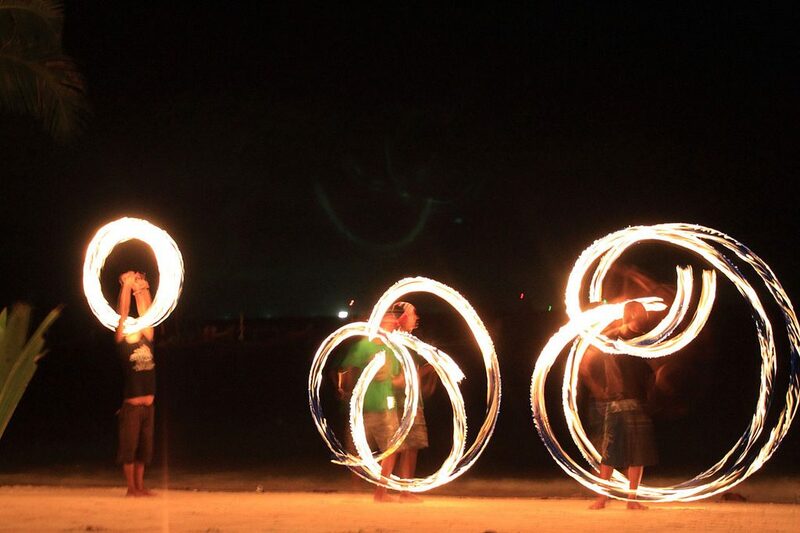 Fishbowl Beach Bar is one of the most vibrant spots on the island after dark. Hordes of visitors wander down the unnamed road to get to this bar, equipped with beer pong tables, cheap booze buckets, pulsing top hits to groove to, and a stunning view of the ocean. The bar is found on Sairee Beach, which is where a majority of the best nightlife venues are located. The bar has attractive happy hour deals going on late into the evening, for example, buy one get one free buckets of booze.